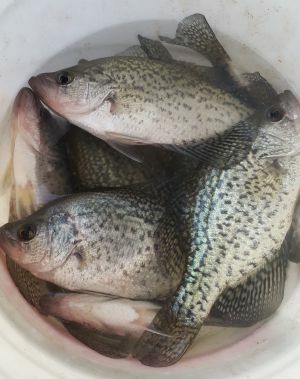 Are you used to filling your live well with a mess of 9 or 10″ crappie? What about 12″ crappie? 14″…? 16″…? How about 17″ slabs! Norfork Lake is the perfect location to catch the mess of crappie you’ve waited a lifetime for! With exception to the spawn, crappie fishing on Norfork Lake is entirely a game of structure fishing. Find the brush, and you find the crappie. T here are nearly 170 mapped and easily located brush piles throughout the lake courtesy of Arkansas Game & Fish Commission. Close to 90 of these brush piles were recently replenished during the Large Scale Habitat Project of 2018! However, the brush doesn’t stop there. A permit to place your own brush pile is easily acquired and utilized by many crappie anglers. There are enough brush pile locations, throughout the lake, to fish a new brush pile every day of the year! During most of the year if you find brush laying on the lake bottom between 20′ and 35′ of water you’ll find crappie. Starting around the 3rd week of April the crappie will move into the creek arms and begin a pre-spawn staging. This staging is closely followed by nesting and bedding. You’ll find these spawning crappie along the banks in 6′ to 15′ of water. During this period these crappie are aggressive! Whether fishing crappie with live bait and a slip bobber or artificial tubes and jigs the key is patience. You’ll want to let the crappie slowly pull your bobber down until it is entirely gone from sight, be very still, then…Wham! Set the hook and bring your fish to the boat. 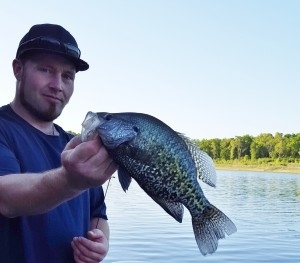 Many beginning crappie anglers lose plenty of fish due to a premature hook set. While fishing for these soft lipped gems, finesse is paramount. No boat? No problem. Most resort owners have staged brush piles descending directly beneath their docks. This makes for fishing a crappie habitat as easy as dropping a line! 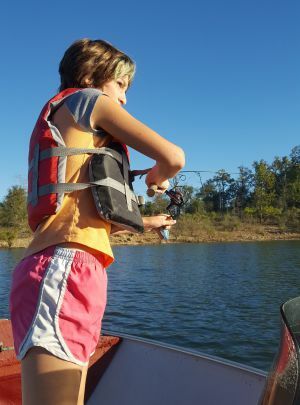 Norfork Lake also offers guided crappie trips for anglers seeking an edge toward future crappie expeditions. Whatever your pleasure you will not want to miss the crappie fishing experience on beautiful Norfork Lake! From the brush, to the boat, to the dinner table, crappie fishing on Norfork Lake creates memories and relationships that last a lifetime!